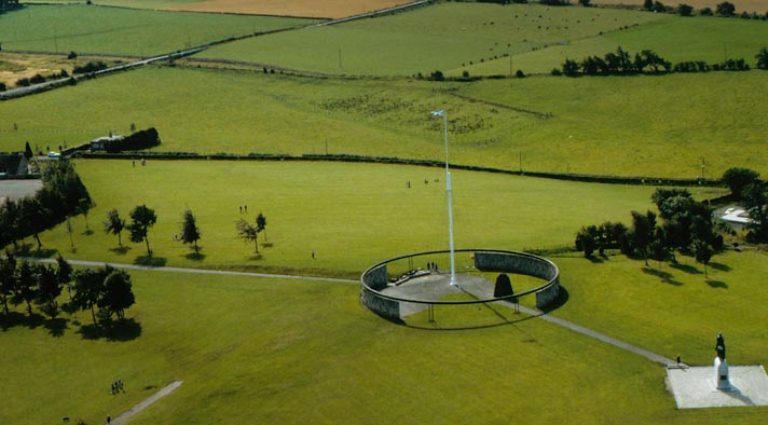 A new poem commemorating the site of the Battle of Bannockburn by Scottish poet and University of Stirling professor, Kathleen Jamie, has been announced as the work which will be inscribed on the iconic 1960s Rotunda monument at the heritage site. Kathleen was one of ten people commissioned by Historic Scotland and the National Trust for Scotland, in partnership with Creative Scotland and the Scottish Poetry Library, to write new works about the ancient battleground as part of a restoration project. Her work was chosen to be inscribed on the timber ring which crowns the Rotunda Monument after all ten works were put to a public vote. Organisers said the poem by Kathleen Jamie, who is a Chair in Creative Writing at the University, won by a "clear majority" and the decision was supported by judges, including Scots Makar Liz Lochhead. Ms Lochhead the Scots Makar said: "One of the great difficulties in composing poetry on a national theme is to avoid what sounds like a slogan - slogans are the enemy of poetry. "The poets who tackled the subject of the Bannockburn site used an impressive variety of strategies to make real poems, and do justice to the subject. Kathleen Jamie's poem impressed me with its clarity and condensed language - the right language for an inscription and for reflection." The commission is part of the Battle of Bannockburn project, a development project led by The National Trust for Scotland and Historic Scotland which will transform the heritage site near Stirling, where Robert the Bruce is said to have defeated King Edward II's English army in 1314. The project will be completed in time for the 700th anniversary of the battle in 2014. Exciting features will include a new visitor centre with state-of-the-art facilities and a programme of conservation and enhancement for the commemorative park and its statues and monuments. Fiona Hyslop, Cabinet Secretary for Culture and External Affairs, said: “The response to this competition has been incredibly heartening. Each of the ten poems, from some of our best known and respected poets, had their champions and the level of interest was very impressive. The Battle of Bannockburn project is funded by generous support from the Scottish Government and a £4.1 million grant from the Heritage Lottery Fund. The project team were so impressed by the high quality and diversity of poems commissioned that they hope to publish them all together in time for the 700th anniversary in 2014. The other poets were: John Burnside, Robert Crawford, Douglas Dunn, Alec Finlay, Valerie Gillies, William Letford, Aonghas MacNeacail, Tom Pow and Robin Robertson. Works will be taking place at the heritage site until approximately mid-2013 and access to the area will be limited until then. For more information on the project and its progress, click here.